Associate ALTA Members can add their names to the ALTA Marketplace by adding or updating their products and services information. 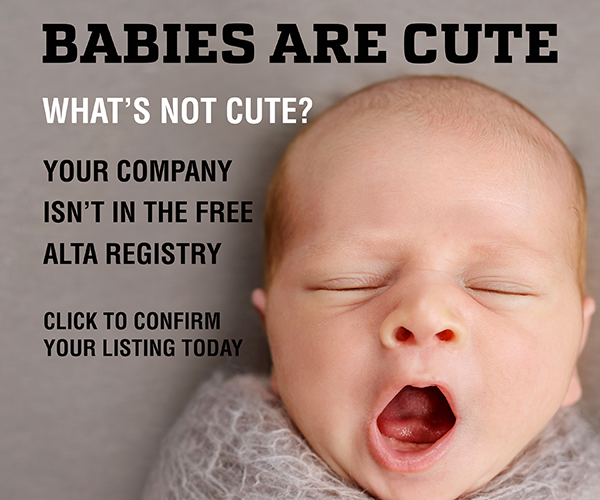 Non-Associate ALTA Members may purchase a subscription to be included in the ALTA Marketplace. 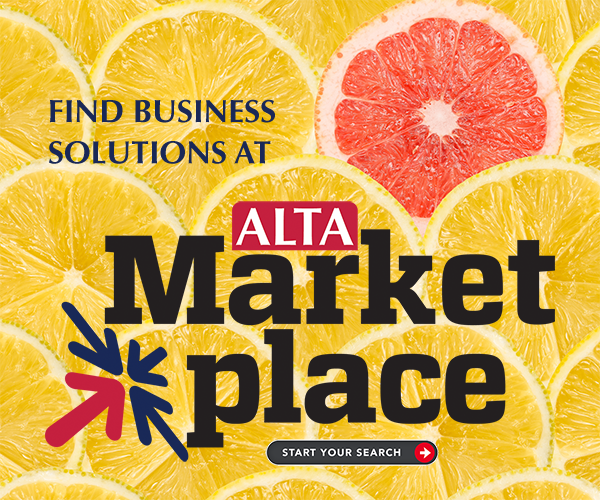 In addition to the ALTA Marketplace, you can search the full ALTA Membership Directory. Search for a specific business or check the boxes that match your specific needs. You must enter at least one search criteria. A keyword match will find an exact match to the string you enter anywhere in the field. This means "title" will find more entries than "land title". The more fields you search on, the narrower your search will be.